Coaching and training in public speaking skills is Wendy’s passion. She has a proven process to help you present a clear, concise, and confident message. Her book Loud & Clear has sold over a quarter of a million copies. 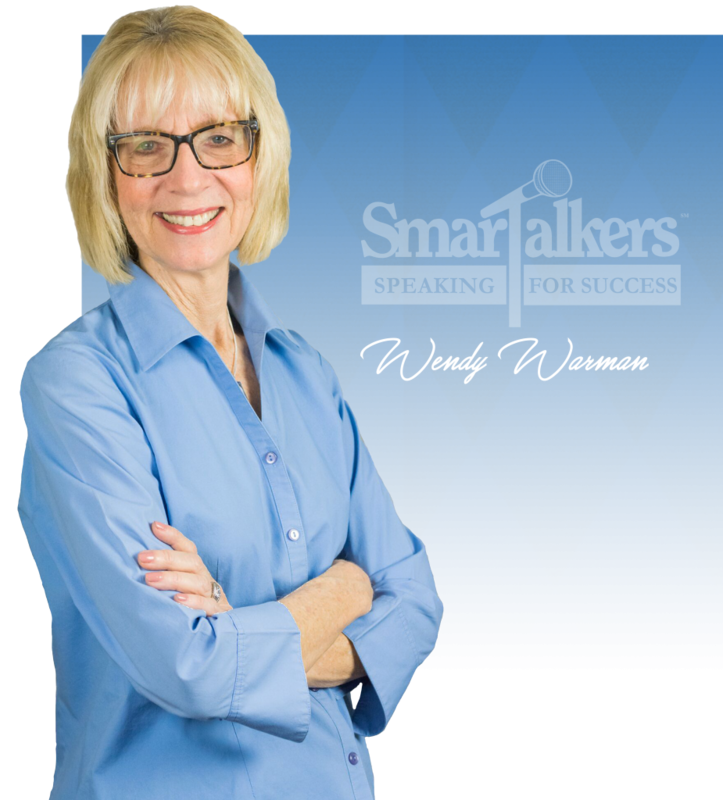 As founder and president of SmarTalkers, Wendy is an executive speech coach, trainer, and author specializing in providing her clients with the skills necessary to present their ideas in a clear and concise manner that gives them the competitive advantage in today’s workplace. Whether it is overcoming a fear of speaking, increasing confidence, influencing with assertiveness, or ensuring the messenger matches the message, Wendy provides the techniques to craft every message so that it is expertly designed and fearlessly presented whether to an audience of one or 1000. Like many people, Wendy had a fear of speaking in public which kept her from showing others the confident expert she was. After overcoming her fear of speaking and professing “If I can do it, anyone can!” she founded SmarTalkers. Wendy has provided training and coaching for over 25 years for businesses large and small including Fortune 500 companies. With her professional background as a speech pathologist, Wendy brings a unique qualification to her coaching by helping her clients discover how to use their voice to bring life to their presentations creating an engaging and interesting approach to their message. 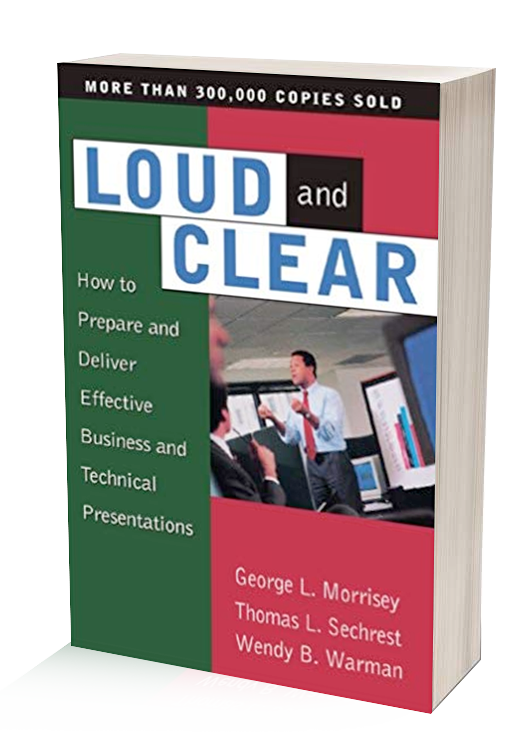 Wendy is a nationally known expert in the field of communications, an award winning professional speaker and co-author of the popular book Loud and Clear: How to Prepare and Deliver Effective Business and Technical Presentations with over a quarter of a million copies sold. In addition to public speaking coaching and training Wendy works with organizations that are dedicated to creating an environment that builds and maintains solid and trusting relationships across all levels within the organization through authentic communication skills. Wendy enjoys the position of adjunct faculty member for the University of South Florida, teaching courses on Dynamic Presentations, Maximizing Your Human Resource Communication Effectiveness and Promoting Your Ideas to Influence the Decision Makers. She is an internationally televised trainer who has appeared on PBS The Business Channel and the Federal Training Network which broadcasted her programs worldwide. Her clients are varied and include Honeywell, Bank of America, Bausch & Lomb, Home Shopping Network, USPS, CocaCola Enterprises, Tech Data, Cargill and Raymond James Financial. Past President of the National Speakers Association’s Central Florida Chapter, Wendy is a certified speech pathologist with over 29 years of experience in the field of communication. She works with professionals who want to learn how to expertly communicate with confidence. Highest recognition of achievement in the National Speakers Association Central Florida Chapter for achieving excellence in the professional speaking business. How do you want your next presentation to come across? As a bland outline that glosses over your topic? As a ”data dump,” confusing or boring your audience? As nerve-wracking torture for everyone involved?